Safety is the number one priority if you are venturing off piste or into backcountry terrain. 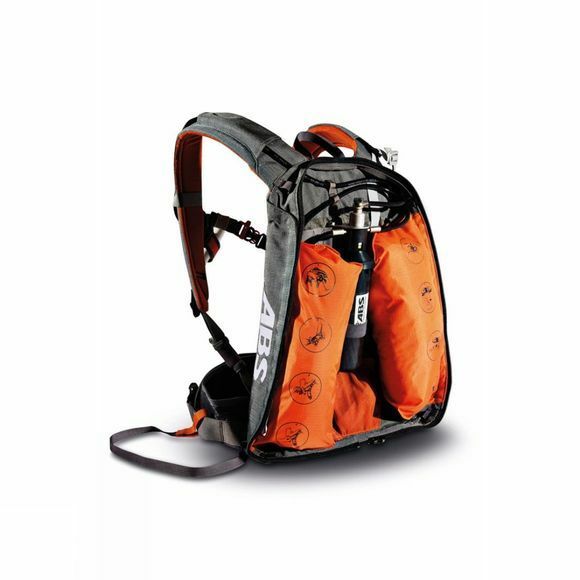 The narrow, light and compact ABS Powder Base Unit will increase the chances of staying on the surface of the avalanche significantly, inflating two integrated airbags with the pull of a handle. The Powder has been thoroughly tested and comes with an 8 litre zip-on for storing equipment. If you need more room in your bag, simply just change the zip-on size. This bag can easily attach 15 or 26l Powder Zip-ons. Because of its narrower back panel, ergonomically shaped shoulder straps and the tight neoprene hip strap, it also ensures a particularly good fit for women and youngsters.